Store every memory with this gift and add a personalised touch with this unique keepsake. 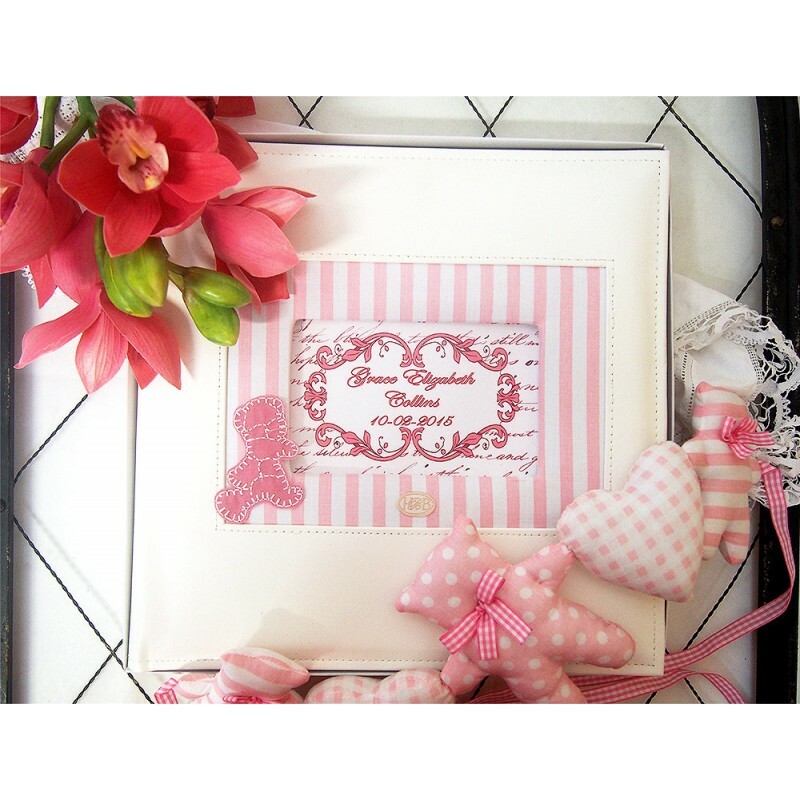 This gift has a fabric covered window with embroidered features. 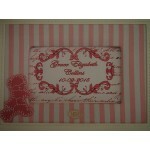 Personalised with small pink French script. This 30cm x 30cm, 30 page album is a treasured gift for baby, for christenings, for birthday. 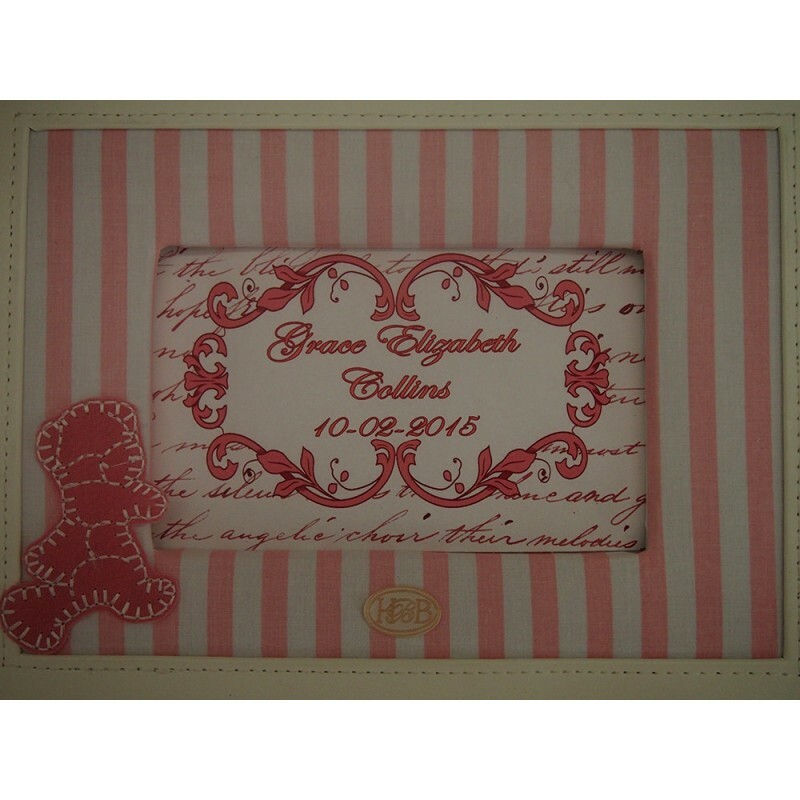 With archival quality inserts it is ideal for scrapbooking and comes with adhesive photo corners ready to go. This gift is presented boxed for giving and has the perfect wow factor and is ideal for many occasions. Maximum of 10 charactors per line.